“The Common Goal was the best paper left on my door step in 60 years. Advertise in The Common Goal Newspaper! Contact us for more information on advertising. 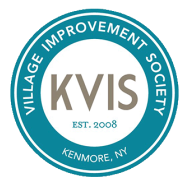 Much beloved KVIS member George Schieder was a person who was a living embodiment of the term ‘simper fidelis’, or always faithful. A retired Marine, George gave his all to his wife Mary, his family, and his community. Phrases like “adapt and overcome” and “I can do the possible – the impossible may take a bit longer!” weren’t just platitudes for George, he actually lived them every day; he was a man of convictions and used his easy smile and winning personality to entice others to believe in possibilities founded on dedication and perseverance. Love of the United States, the Marine Corps, and Kenmore were some of what George believed in and he showed this in his thoughts and actions, even in his final days. George was quite ill in the last weeks of his life, he was receiving oxygen treatment and was required to carry the tank with him at all times. He had committed to two KVIS activities before he became so ill, one of these was to deliver the KVIS newspaper to the homes on his street. George managed to fulfill both commitments because he believed that they were important and because that was who he was in the very fabric of his being- noble, brave, caring, compassionate, and strong. George had all the best characteristics of a warrior clearly present in all he did and said. George is greatly missed but continues to offer inspiration now and for years to come through the fond memories we have of him. Rest peacefully, dear friend.